After getting swept twice on Tuesday, eUnited now sit in seventh in Division B. The first stage of the 2018 Call of Duty World League Pro League is nearly halfway finished, and it hasn’t been a good first half for eUnited. Although they started off Division B with a 3-2 win over Splyce, eUnited have failed to win a match since then. 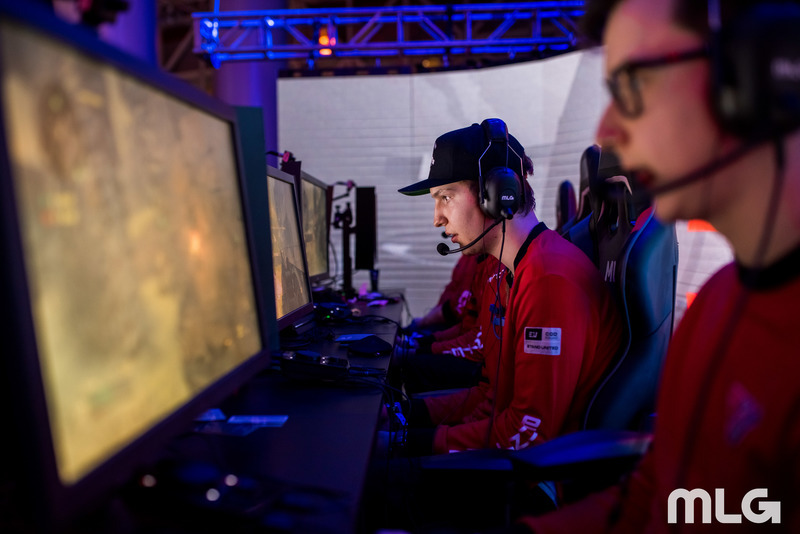 With their two losses today, James “Clayster” Eubanks and crew sit in seventh out of eight teams in their division. Team Envy were eUnited’s first opponent on Tuesday. Envy entered the match with a 4-0 record—a surprise to many who had been underwhelmed by their performances in the early part of the WWII season. And eUnited were taken by surprise too, as Envy handed eUnited their second 3-0 loss of the stage. In their next matchup, eUnited went up against Evil Geniuses. Heading in, EG held a 1-3 record, just like eUnited. But a strong performance from former Team Envy star Bryan “Apathy” Zhelyazkov improved his team’s record as he gave EG the boost they needed to sweep eUnited. The loss pushed eUnited down to seventh in the standings with a 1-4 match record. Almost all of the other matches from Tuesday in Division B followed a similar theme—they ended in a 3-0 sweep. Expectedly, Envy took out Epsilon Esports, while Luminosity swept Splyce in a rematch of last year’s CWL Anaheim Open grand finals. The matchup involving UNILAD and FaZe Clan was the only one of the five matches that had both teams winning a map—and UNILAD surprisingly came away with a 3-2 series win. Here are the updated standings in Division B of the CWL Pro League (each team’s series record is followed by their map count in parentheses). The CWL Pro League continues tomorrow (Wednesday, Feb. 14), with UNILAD vs. Epsilon kicking off the day at 4pm ET.